Be the boss in this fast-paced card game of survival on the mean streets. 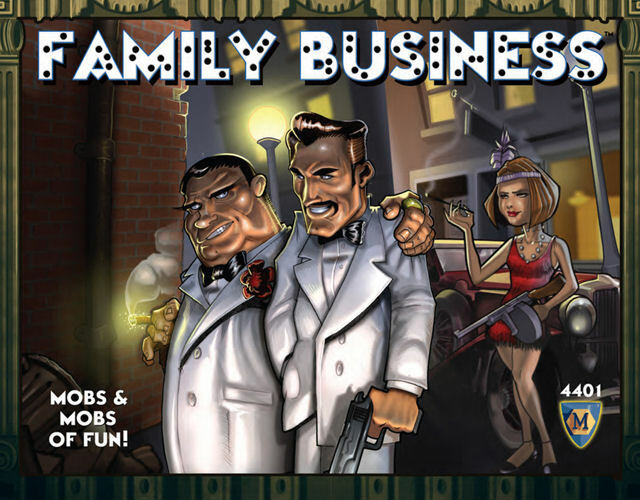 "Family Business" pits mobsters against each other - all working to make sure theirs is the last family standing! Family Business is fast, furious, and fun! Your goad is survival! What's in the cards for your game? Thematic fun, lots of "Take That!" Good party game. Who can resist saying, "Nyah! See! You'll never take me alive, copper!"